Casey Scanlon was raised in the beautiful Adirondack Mountains, of the eastern U.S. which nurtured in her a love of nature. 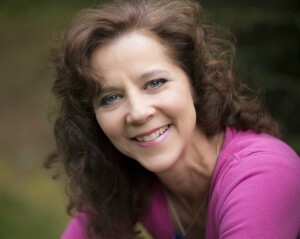 She has since honed that love in the Blue Ridge Mountains of NC, the San Bernardino Mountains of CA and currently in the Cascade Mountains of OR. The Mountains and woods gave Casey a deep and underlying trust in the knowledge of the universe. 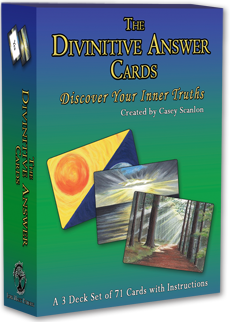 “I love using my Divinitive Answer Cards. I like that they are flexible and you can ask a yes or no question, or choose to get more information. Thank You for visiting The Divinitive Answer Cards website. I am so pleased you “stopped by” and hope you enjoy your time here exploring. If you haven’t learned all you want to about the cards please don’t hesitate to contact me at contact@divinitiveanswer.com.